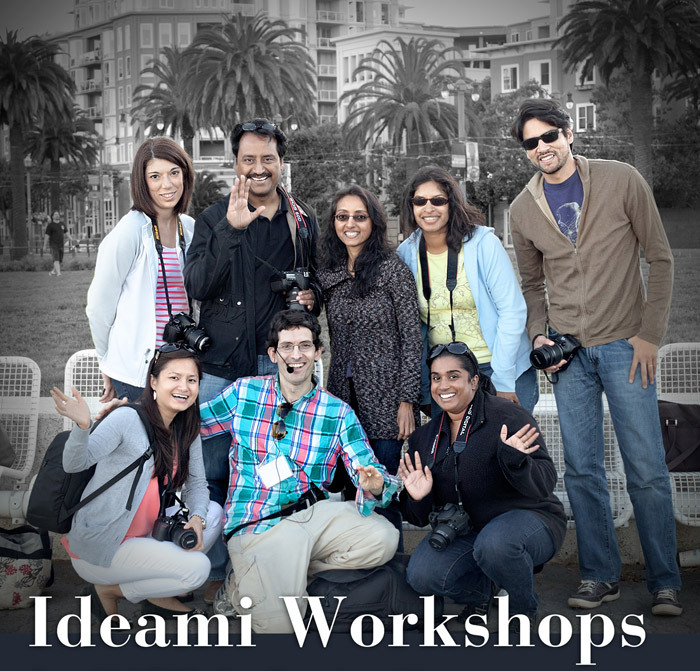 Ideami has been teaching Photography and digital art for years around the world. His Masterclasses have been very successful among audiences of all ages and backgrounds. Masterclasses and workshops can include all themes related to the visual arts, photography and digital art. You may propose any other theme for a workshop. Contact us on ideami@ideami.com and explain us your needs. Composition is where it all begins. It is the base, the foundation of all award winning works. Learn to guide the eyes of your audience with this workshop. Learn to control exposure with precision by using a zonal system adapted to digital photography. Control your tonal ranges and get the best of all the rich detail that surrounds you. Bring your work to this workshop and Ideami will review and discuss the photos with you, suggesting ways to improve them in relation to preproduction, production and postproduccion processes. Take your photos to the next level with this intense introduction to retouching. Learn to improve the color, contrast and lighting of your photos in quick and simple ways. Learn the most advanced techniques to retouch your photos in this intense workshop that touches all advanced sides of retouching from masking and extraction to the LAB Mode and beyond. Walk the city wit Ideami as you practice your skills and get instant feedback and advice from the tutor.